Tree removal should not be taken lightly. Each tree has a value and is considered an asset. But some trees can be a liability. Mature trees that are well-maintained can improve your home’s market value. It also enhances its appeal. But some of them need to be removed for health and safety reasons. Removing a tree will also improve the aesthetics of the property. If they interfere with other trees that you’re growing or cause interference to the utility wires and driveways, they must be cut. Unfortunately, it takes years or decades to replace a tree, when it’s removed. Should you do it by yourself? The entire work is dangerous and difficult. Thus, it’s best to hire a tree removal service. It may be an additional expense but the cost is justifiable. 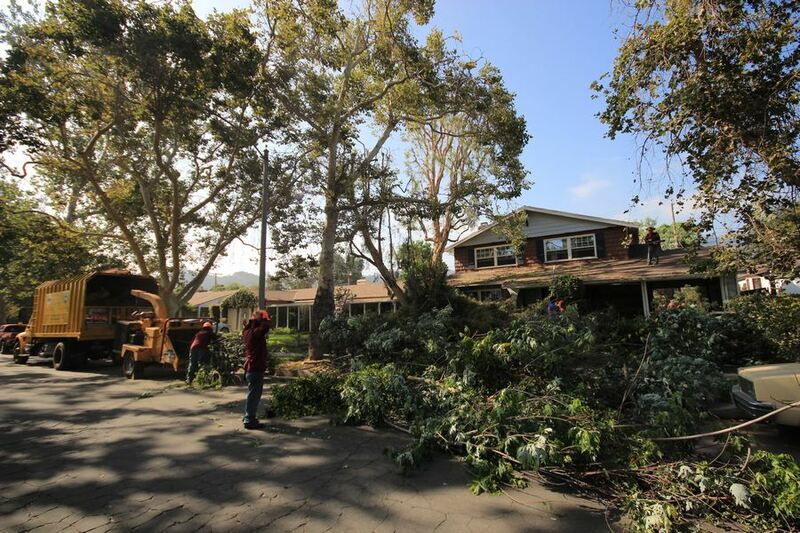 A professional tree removal service can assess the tree’s risk and health. Its potential weaknesses will be identified before they cause major problems, not just to your landscape, but also to your neighbors and other people. Contractors offering this type of service won’t only chop down the trees but they also rope the pieces of the tree down and remove/cut them into manageable sizes. Some professionals won’t charge you extra for hauling them away. In addition to removing the tree, companies that offer this type of service may also have additional services. One of them is stump removal. Tree stump removal isn’t easy, even though it’s doable. It’s an eyesore. You won’t like seeing tree stumps in your landscape, unless you’ll put them to good use. If you don’t maintain them, weeds and other plants will grow on them. And this can happen over time. You also need to remove its stump as it can take space in your yard. And it can also cause danger to some as it gets camouflaged by weeds and other plants. You may stub your toe on it and trip. You don’t want that to happen to you or your loved ones, do you? You may also ask the company to remove the tree and cut its trunks into smaller sections. In this way, it’ll be easier for you to move them. Although you can always ask the company to remove them for you, there might be additional cost. The price can vary from $50 to $100. Another extra service of a tree removal service is log splitting. This is ideal if you have a fireplace at home. It’s an additional expense but it lets you obtain the benefits of the tree you’ve allowed to grow for decades. How much does it cost to cut large tree? This will depend on the contractor you want to hire. You may think of doing it by yourself. But it’s not safe for you. You shouldn’t even attempt to try this job yourself, without the necessary equipment. It’s not going to be cheap. Tree removal service will calculate the total cost based on several factors. You might end up paying $1,500 or more. Then again, the overall fee is all worth it. Does it include fallen tree removal? 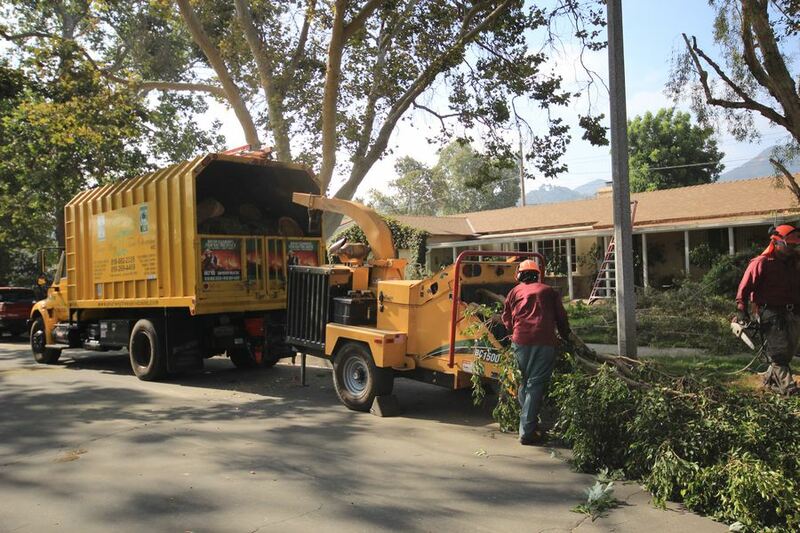 It’s another type of service a tree removal company can offer. A tree that falls in your property should be cleared away as soon as possible to avoid causing more damage to the property. It’s not as risky as removing large trees. But it still requires heavy equipment. If you do it by yourself, it may still cause injuries. The price of hiring a professional to remove it for you is cheaper than the cost of removing a standing tree. You should expect to pay from $75 to $150. The cost will depend on a lot of factors. Can they cut oak trees? Oak is one of the toughest trees to remove. Thus, when you hire a pro to remove it for you, you’ll be charged a premium fee. Then again, the rate is worth it. Bear in mind that oak tree can be as high as 60 feet. So, you must expect the rate to be between $200 and $1,000. Thus, before you spend that amount of money, you should have a valid reason to remove it. If it’s not causing harm or danger, you might want to consider leaving it. What factors that affect the prices of tree removal? The total price of having your tree removed from your property will depend on several factors. One of them is size. The higher it is, the more expensive the cost will be. The condition of the tree may also affect the overall cost. You’ll have to pay more if the tree you want to cut is healthy and strong. But if it’s dying or rotting, the price will be a lot cheaper.